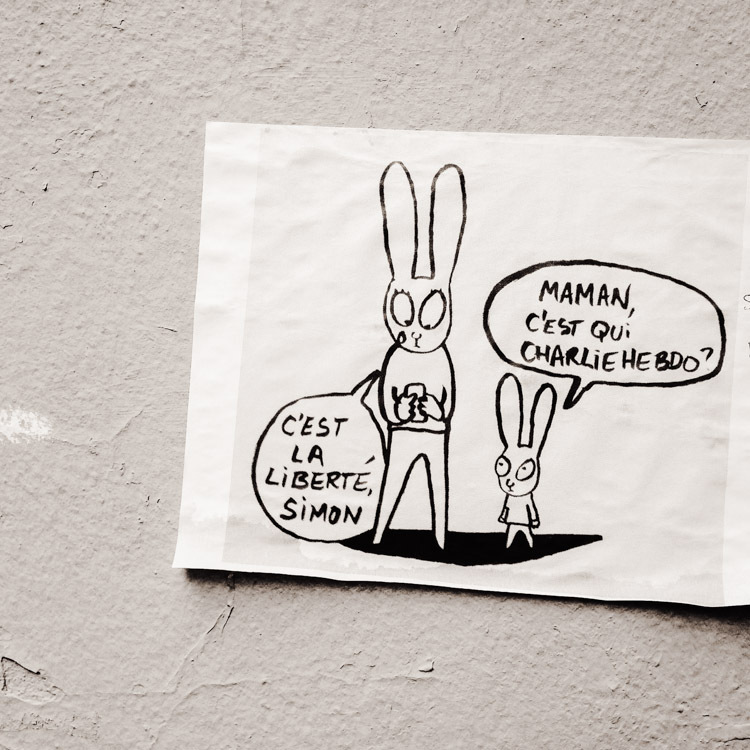 "Mom, who is Charlie Hebdo"... "It's Freedom, Simon"
It is so hard to have to let them lose a bit of innocence when these world events occur. That drawing is so poignant. your images at Christmas and New Year and your new home reflected so much hope and happiness for the future. But now this. The loss of innocence of children, of community, a city, a country that has in the past had so much to deal with. The effects have reverberated through the world. I wish for you and your son bright sunshine not marred by fear or where are free voices are silenced. My heart goes out to yours and all the children of the world, that they have come into a world where these kinds of things happen. Impossible to explain actions such to those so young and innocent, and so sad that we have to try. Your son is so right! The wisdom of young children often puts into perspective what adults cannot. Your son said it so well, Catherine, and I was glad to know that you and your family are safe. What a start to the New Year after your holiday in the U.S.